Did you know that the the origin of bridesmaids can be traced all the way back to the Book of Genesis? I’ve studied the Bible time and time again, and never truly read the story of Jacob and his two wives Leah and Rachel with the intent of discovering their wedding plans. There it is though, in both 29:24 and 46:18, references to the two wives hosting handmaidens as their maids during their weddings. Thus the tradition began! The history of bridesmaids actually spans across multiple cultures, religions, and time periods. In early Roman times, bridesmaids formed a kind of bridal infantry as they accompanied the bride to the groom’s village. It was the maid’s duty to act as a sort of protective shield if any wayward thugs or vengeful suitors should try to kidnap the bride or steal her dowry. In the Chinese feudal era, the production of an heir was so precious that brides were susceptible to kidnapping before their wedding by rival clans. Therefore it was the bridesmaids responsibility to protect the bride by dressing just like her to lower the risk she may be identified. It became the Western tradition following later Roman law, though, to require ten witnesses at a wedding in order to outsmart evil spirits. Dressing like the bride and groom, both bridesmaids and groomsmen were meant to confuse the spirits into not knowing who was truly getting married. This can be evidenced as late as the Victorian age by viewing wedding photographs — it is difficult to decipher the marrying couple from their bridal party! Though I did not consider choosing my girls with the intent of having them protect me from evil spirits or Highwaymen on my wedding day, these early customs still do have some influence in today’s traditions. The bridal party commonly dresses with the look and feel of the wedding, and continues to serve as key support staff and advisory board for the bride and groom. 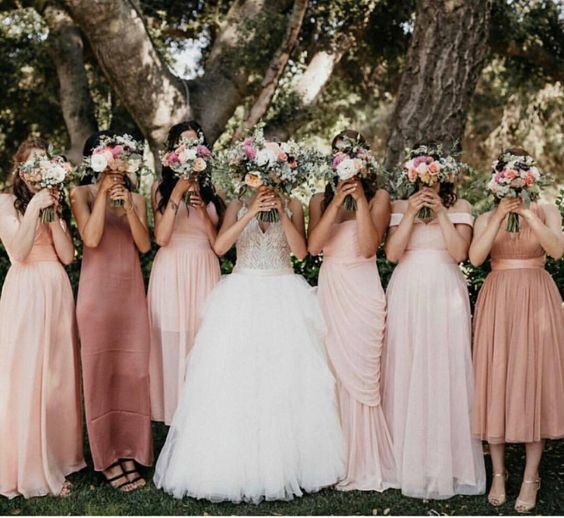 The modern-day bridesmaid is not only an honored member of the wedding party and special guest at the reception, but she is also a special assistant to the bride during the wedding planning process. From shopping for dresses to writing invitation to designing centerpieces to hosting a bridal shower, a bridesmaid’s first duty is to be helpful. The 21st Century bridesmaid is a helper, organizer, and adviser to one of her best friends in the world. And the payoff is pretty sweet — looking absolutely beautiful walking down the aisle and witnessing up-close the marriage of your loved one. Act as Emotional Support: Wedding planning can be a stressful time, so turn to your best girlfriends for support when you’re feeling stressed or frazzled. As people who care about you, your bridesmaids want to help. Take on Financial Responsibilities: Typically the bridesmaid pays for her own dress and accessories, and the bride should outline additional costs early in the planning process. Assist with Assorted Tasks: Be it addressing envelopes, fluffing the bride’s train, or helping choose the bridesmaid dresses, bridesmaids should be able to be relied upon to reduce stress and aid in a range of detail work. My biggest issue, as with all-things-wedding-related, was the financial responsibilities my girls may have to take on and how I could help alleviate any financial strain. One of my girls was a new mom, another just got married last year, and another is planning her own wedding for August 2018. I want their roles as bridesmaids to be fun and as stress-free as possible. So, G and I decided since our wedding is whimsical and rustic anyways, there would be no need for the bridesmaid dresses to match! Even though dresses have come a long way in recent years (averaging around $200 with alterations), this still seemed a hefty burden to ask of my girls on top of them needing possible hair stylists, makeup, transportation, or accommodations. Instead, we’re telling the girls our color profile (blush to dusty rose) and allowing them to choose whatever dress fits their style, body type, and, best of all, budget. The mix-matched look is something I absolutely adore and cannot wait to see what my girls come up with! I also noted that shoes do not need to match, and that we simply want the girls to be comfortable first and foremost. Silver or gray shoes would be liked, but if any of the girls do not have these colors, just find something in their closets which they are okay dancing all night in. The girls are already discussing my bachelorette party and it’s various possibilities. I am so excited to have them all meet — none actually know one another, so it’ll be fun to have a meet-and-greet sometime in the near future. 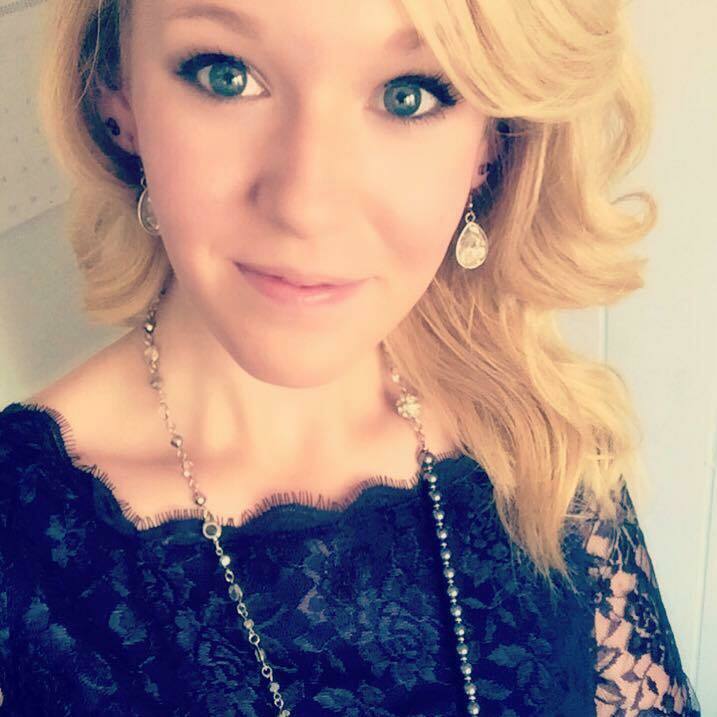 And although I foresee needing help from my girls with a few things, my family and fiance are more than willing to assist with wedding details as well. I am truly blessed by the people in my life! I am so thankful for these girls for saying, “YES!” to being my bridesmaids and cannot wait to dance the night away with them on June 16th! Kari lived with me at Western for an entire two weeks, but would return weekly to force me to watch The Bachelor. She is my reminder of PSL’s return, Snapchat updates, and lives for bad puns. Courtney is my official Catan coach and wine drinking pal extraordinaire. You’ll notice her on the dance floor at the wedding — she won’t leave it all night! Tonie and I blissfully met on a cruise to the Bahamas. We mostly speak to one another in Mean Girls GIFs or emojis. If you happen to run into her, please yell, “Go Green!” She’ll love it. Amber has always been there for me, pruning me on the ways of womanhood. Follow the scents of sweet pea and sounds of the Chicken Dance, and you’re sure to find her! Previous Vendor News: Reception is Booked!